Death is an inevitability and a finality. In comics, we’ve seen many a death. Superman died defending Metropolis from Doomsday’s rampage. Captain America was sniped by Crossbones on courthouse steps. Jean Grey died to save the rest of the X-Men from an otherwise fatal re-entry. Jason Todd was beaten to death with a crowbar by the Joker, then blown up. These deaths rocked the comics world, and the holes they left in our hearts will never be filled. Well, at least not for another 6-12 months, a year or two at most. Then some massive event will hit, and our heroes will somehow escape the clutches of death itself. That’s pretty big, right? I mean, Superman’s return stretched out over months, and had many tie-ins. So superhero resurrections must be a big event, right? Not so much. Sure, at first, retconned deaths and resurrections were a big deal. However, now you’re just as likely to see dead characters pop back up in a random issue, with no explanation, than in some big event series. The worst part? Half the time, these rebirths and retcons make absolutely no damn sense. Jason Todd came back because Superboy Prime punched reality really hard. Cap? Not dead, merely “unstuck” in time. Jean Grey? Well, she came back, died again, came back… And I just stopped paying attention after that. I mean, she is a living “escape death” cheat, what with the Phoenix in her and all. It’s reached a ridiculous point, with several heroes having plot-convenient backstories and abilities that allow them to die and resurrect pretty much just in time for the publisher’s next big event. It’s become so much of a joke that in-universe, Marvel has addressed this. The Daily Bugle’s Ben Urich has had to retract numerous articles on the deaths of superheroes and villains. It happens that much. Back in my younger days, my friends and I joked that the only characters that were immune to coming back from death were Bucky and Uncle Ben. Since that time, Marvel successfully brought Bucky back as the Winter Soldier, and even made him Captain America for a time when Steve Rogers was thought dead. As for Uncle Ben? Well, Marvel keeps teasing it, just waiting for the time to be right, for a place where issue sales will spike and distract people from their myriad other problems. Sorry, Marvel. It’s just not going to work. The more the dead rise (undead-style events like Blackest Night notwithstanding), the less it means. Comics have reached a point where death means less than it does in Dragonball Z. It’s like they only mourn the fact the dead will miss the next year or so, and have to be brought back up to speed. I’m not even sure why they bother burying these guys, they’re often back up and fighting before the rigor mortis has even worn off. If I were a comic universe’s incarnation of Death (since both Marvel and DC have one), I’d be asking just what my purpose really is, when no one seems to stay dead. Why bother shuffling them off to an afterlife that they’re just going to walk away from a handful of issues later. 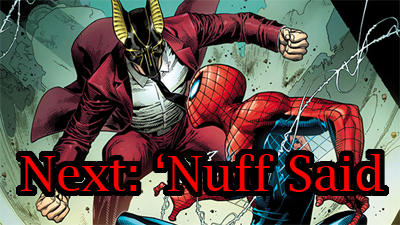 I’ve come to an odd rule of thumb: If a character dies in the first part of a multi-issue or title event, it seems almost a given that character is going to have some sort of miraculous (or just shoehorned) rebirth by the end of the crossover. If the deceased has their own title, they’ll surely be back. If they’re part of a team, the odds go up, as well. Should they be on a team and have their own title, you can put cold hard cash on their resurrection. The fact we can predict this is getting pretty ridiculous. 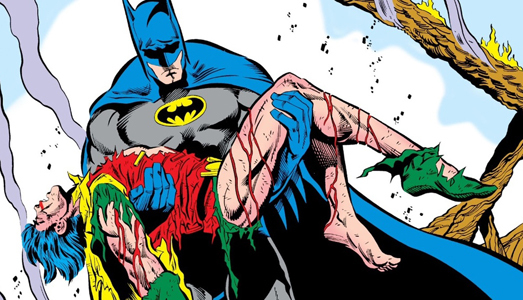 The handling of death is just one of many problems plaguing modern comics. Luckily, it is only really an issue in superhero circles. Most indie writers like to keep their characters dead, which is a welcome change. Frankly, each time a dead character comes back, the very concept of death loses meaning. It’s become less of an ending, and more the end to a chapter. Combined with the fact these characters very seldom age, we’re left with immortal, self-resurrecting demigods. Even the weakest characters seem to be able to run from death like she was a quadriplegic. With all the realism companies try to inject into their stories, why not have death be as meaningful in comics as it is in life? Why must the graves be emptied, just to push issues? It could be worse, I suppose. It could be clones.